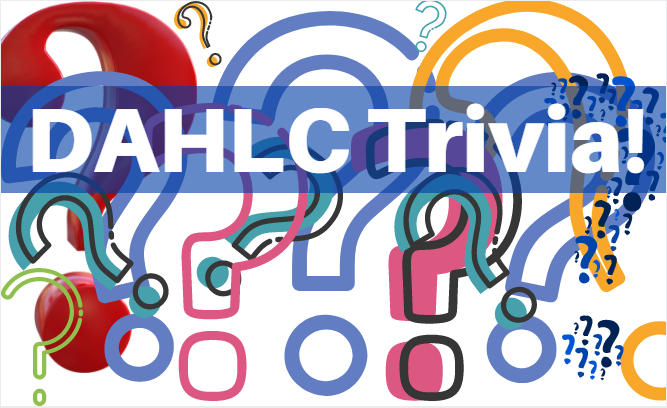 How well do you know the DAHLC? Challenge your knowledge by answering the following questions. Answers can be found at the bottom of the page... try not to peek until you’re finished! 1) Prior to entering the pool, what is one thing you must do? 2) Out of respect for our facility, staff, and fellow members, what should you do with your towel after use? a. Leave it lying on the floor or bench in the locker room. b. Ask a friend if they want to borrow it. c. Place it in the towel bin on your way out. d. Take it home, wash it, and bring it back at your next visit. 3) True or False: When entering the steam room, swimwear or clothing that provides sufficient coverage is required. 5) Which statement below is NOT true? c. You can swipe your ID badge to receive your incentive credit for the day even if you don’t come in to workout. d. You can bring a guest with you for a $10 fee. e. You can use your cellular device whenever and wherever you please in the facility. 6) The DAHLC Staff is made up of how many people? 7) True or False: You can wear tank tops and sleeveless shirts as long as they provide substantial coverage of the torso. So... How did you do? (D) A cleansing shower is required before entering the pools. (C) Out of respect for our facility, we do ask you to place your used towels in the bins provided. True. For the safety and cleanliness for you and members, we ask that you wear a swimsuit or clothing in the steam room. (F) If you have a question, you can almost always find your answer on our website. If not, feel free to call us at 507-266-4688. (E) Out of respect and privacy to our members, cellular device use is not permitted in the locker rooms. (C) Yes, 95 of us are here to serve you! True. Substantial coverage of the torso is required. Don’t forget to check out our Offerings Catalog, DAHLC website and Offerings Calendar for the month of June to see what’s happening around the DAHLC and what you can sign up for. These offerings include: Revive & Thrive; Spiritual Wellness Series; Good Vibe Ride; SMART Series; Pick Up the Pace Running Series; Endurance Sports Nutrition Series; Get Cooking; Cooking Demo; Cycle Beat; Wielding a Knife; and many more!